A video released Jan. 16 by Project Veritas shows activists talking about using butyric acid to potentially disrupt an event planned around President-elect Donald Trump’s Inauguration Day on Jan. 20. Specifically, the D.C. Anti-Fascist Coalition, which is part of the anti-Trump inauguration group called #DisruptJ20, wants to force the cancellation of the DeploraBall—a sold-out gathering of Trump supporters slated for Jan. 19 at the National Press Building. 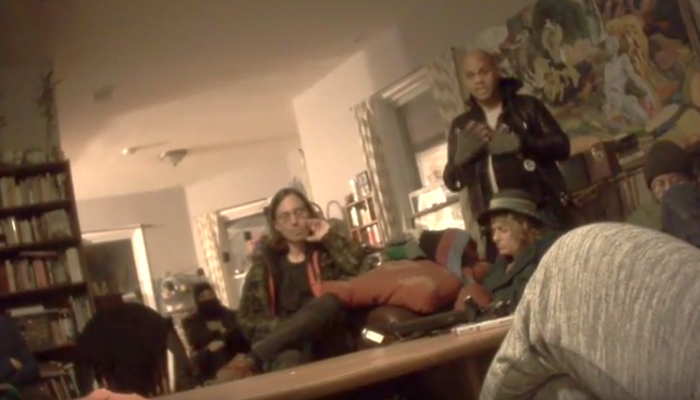 Organizers of the coalition were captured discussing the plans on video by Project Veritas, the brainchild of controversial conservative firebrand James O’Keefe. “I was thinking of things that would ruin their evening, ruin their outfits, and otherwise make it impossible to continue with their plans. So they get nothing accomplished,” says a man identified in the video as Scott Green, the leader of the D.C. Anti-Fascist Coalition. Another man, identified as Luke Kuhn, described their potential plans. “If you had a pint of butyric acid, I don’t care how big the building is, it is closing,” he says in the clip, which was captured in a sit-down meeting at the Comet Ping Pong pizza restaurant in Washington. Butyric acid is commonly used to produce stink bombs. If the plan to use the substance to disrupt the event fails, the alleged activists say they would try to trigger the sprinkler system. Another activist in the video can be heard issuing tacit threats to the District of Columbia city government. But in a Jan. 16 post on its website, #DisruptJ20 dismissed the Project Veritas video and suggested that O’Keefe used “sad aspiring actors to go undercover to get video of leftists in order to chop up the film to make up a news story. Hilariously enough, we have nothing to hide.” It, however, did not refute that the men in the video were associated with #DisruptJ20 and the D.C. Anti-Fascist Coalition. Those attending the DeploraBall include conservative commentators Lauren Southern, Milo Yiannopoulis, and Mike Cernovich.